Saturday's MineCon Earth livestream revealed that Mojang is branching Minecraft out into another new genre. Saturday morning's MineCon Earth livestream was home to a full-blown celebration of all things Minecraft. But while the main focus was Mojang's game-changing world-builder, the Swedish developer announced a new game set in their universe that will take Minecraft into a whole new genre. That game is Minecraft: Dungeons. Minecraft: Dungeons is a dungeon crawler, inspired by many of the genre's best games. It will take place in the Minecraft universe, with the full blocky Minecraft aesthetic on display. Players will explore a Minecraft world that spans across many of the original game's familiar biomes, taking on creatures from throughout the Minecraft mythos as they look to face the evil Arch-Illager. The game will support four-player co-op, with traditional RPG roles heavily implied. 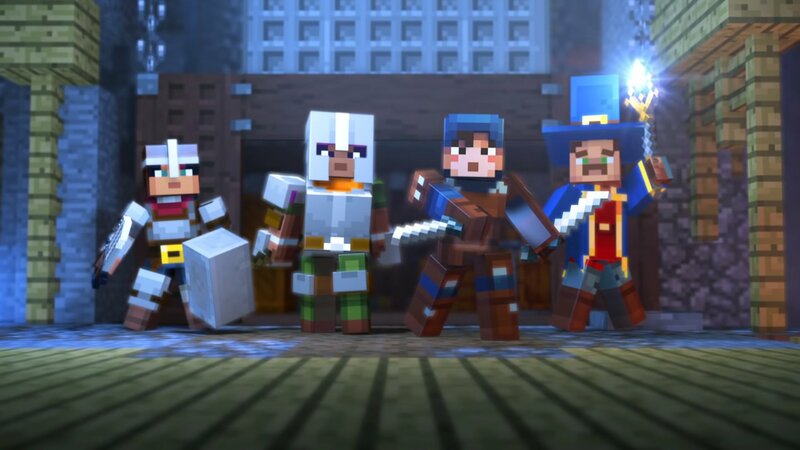 Minecraft: Dungeons represents the latest step from Mojang to branch Minecraft off into a new genre, with the most recent example being Minecraft: Story Mode. While that was developed by the soon-to-be-defunct Telltale Games, a small team at Mojang is undertaking this latest project in-house. The developer is estimating a 2019 release for Minecraft: Dungeons on PC. For more information, visit the Minecraft website.